Hibernation season is finally over, and I know I can’t be the only one looking forward to trading my winter lifestyle (read: staying indoors and eating everything) for some outside adventuring. 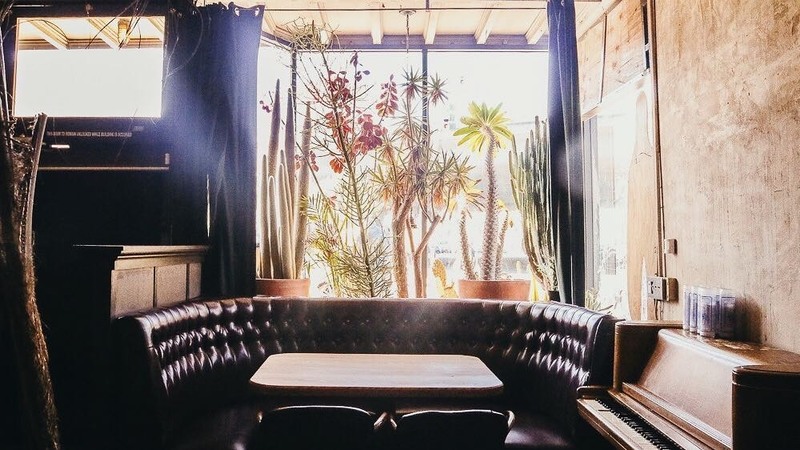 One of the best things to do on a sunny weekend day is to wonder Oakland’s streets and discover a random happy place – whether that’s a chill hangout spot, a browsable bookstore, or just somewhere you can absorb that Vitamin D straight into your skill cells. Getting around is easy since you can hop right on a Bird scooter and cover plenty of ground. Here are some of the places you can easily cruise to from the 12th Street Bart station on one of those perfect summer days. Late sunsets call for happy hours and a golden hour cruise to Starline Social Club for a drink or two. You’re more than likely to find something awesome going on in the side room or the ballroom upstairs – like our very own Women Sound Off Day in April – and the bar is always just an interesting place to be. Please drink responsibly and ever operate a scooter while under the influence! Ok, I know everyone is already riding around Lake Merritt, but that’s because there’s possibly no better place to be on those perfect weekend mornings when the weather is great and you’re not even a little bit hungover. Grab some donuts downtown, or some dim sum if you go via Chinatown, so you can have some snacks when you take a break on a grassy bank. This is also a great place to go if you’re a beginner since the walkways are car-free and the lakeside scenery is nice. Venture away from the heart of Uptown for a bit to check out the Aggregate Space, Gearbox, and Transmission Galleries, which are sweet small spaces showcasing a variety of contemporary artists. Aggregate Space Gallery also hosts film screenings, special lectures, literary events, and live performances. A good way to experience them all in one go is on a First Friday art walk. If reading is perpetually on your list of things you need to do more, start with a good browsing section at your favorite book store. You can easily find a store with your niche, from comics and history books to small press publications and social movements. There’s E.M. Wolfman’s, Cape and Cowl Comics, and Bibliomania, all within scooter distance of each other, and also within short distance of a couple good coffee shops where you can get to reading right away. Enjoy your summer scooter cruising, and remember to keep safe out there kids. BIRD CO. IS AN OFFICIAL SPONSOR OF THE 2019 WOMEN SOUND OFF FESTIVAL. CHECK OUT THEIR site for more information on how to ride.